Today, the Alma Mater statue remains a popular New York tourist site and a prominent campus symbol. One can pass through campus at any part of the day and see visitors taking photos next to the century-old landmark. 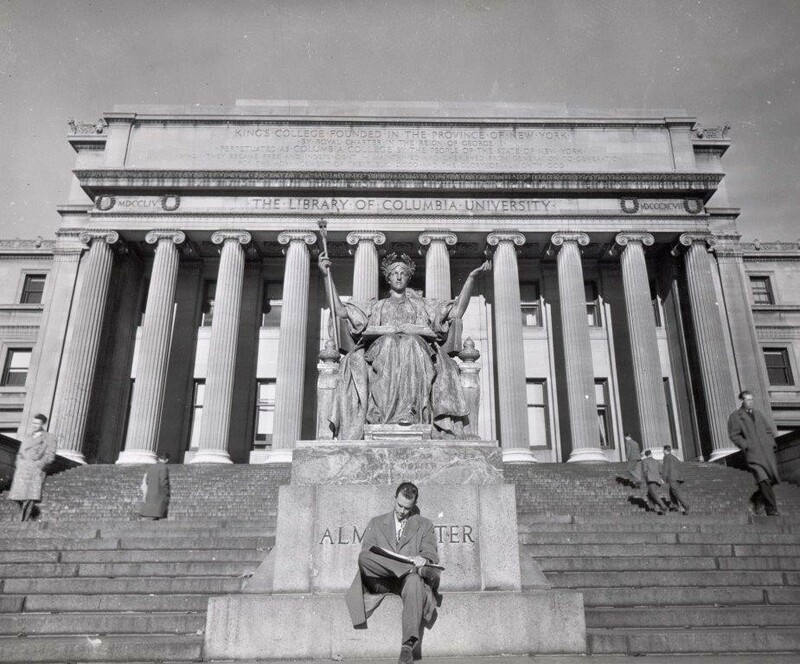 This “nourishing mother of studies” also continues to hold political significance for members of the Columbia community. In 2008, for example, Columbia student activists placed a black shroud over the statue's head to protest against the University's involvement the Iraq War. Man sitting in front of Alma Mater statue. “Nearing Her 100th Birthday, Alma Mater Receives A Much Needed Makeover,” Columbia News, January 2003.